WELCOME TO THE PRESENTER PROMOTIONS WEBSITE TERMS AND CONDITIONS FOR USE. www.presenterpromotions.co.uk a website that is operated by Mr Colin I. Cobb trading as Presenter Promotions. By accessing this website we assume you accept these terms and conditions in full. Do not continue to use Presenter Promotion's website if you do not accept all of the terms and conditions stated on this page. All intellectual property rights are reserved. You may view and/or print pages from http://www.presenterpromotions.co.uk for your own personal use subject to restrictions set in these terms and conditions. Redistribute content from Presenter Promotions (unless content is specifically made for redistribution). 3.3 Our prices are reviewed periodically and the next review will be on 30/12/2018. 4.1 No monies will be refunded. 4.2 Admin Fee of £20 will be applied to changes in membership status. 9.1 To register with www.presenterpromotions.co.uk you must be over eighteen years of age. 14.1 Presenter Promotions jobs and vacancies are supplied and listed in good faith. 14.2 Should you encounter any errors or omissions on the above listing please contact us. 14.3 Anyone found reproducing, transmitting or copying the content from this website will face legal action. 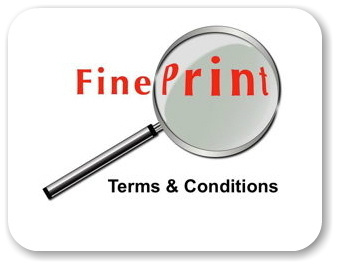 14.4 It is the responsibility of the member to check the terms, conditions and veracity of any offer. 14.5 Presenter Promotions accepts no responsibility and makes no recommendations. 14.6 Presenter Promotions cannot offer advice or support to those members who DO NOT to follow these guidelines.